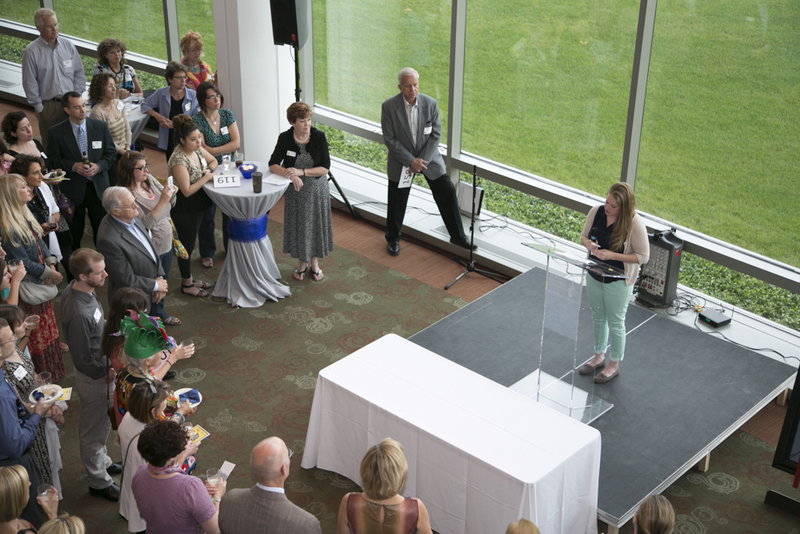 Last Thursday evening, North Central College’s Wentz Hall was abuzz with excitement. 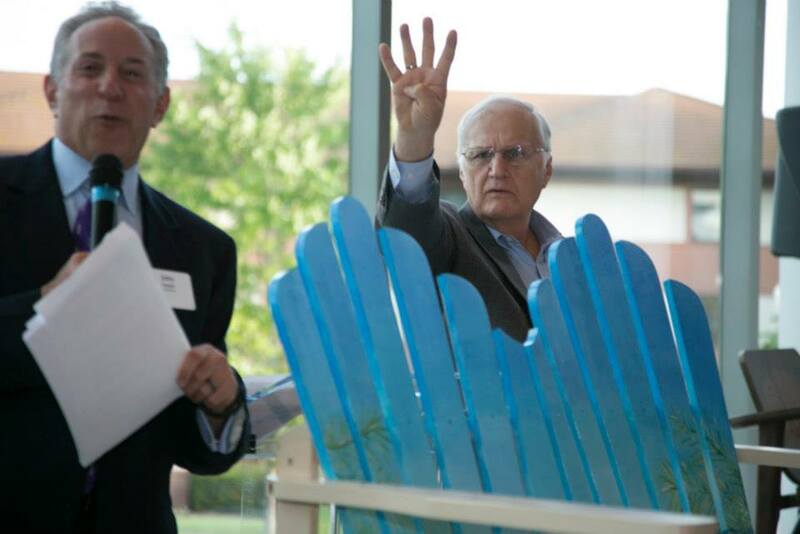 Twenty-seven chairs—some beautifully practical and some beautifully whimsical—that were designed and created by local artists, were auctioned off to supporters of Bridge Communities from Naperville and beyond. 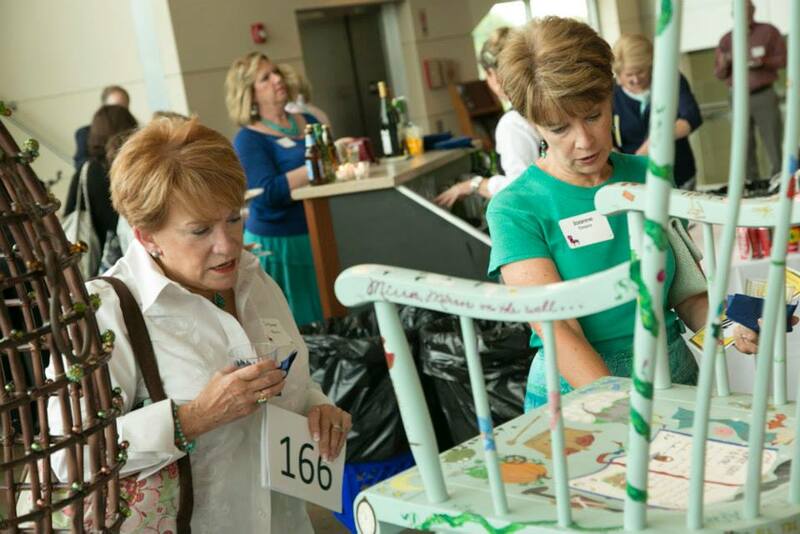 These supporters helped to raise money for homeless families in DuPage County served by Bridge’s Transitional Housing Program. Alecia Hannemann, a Bridge graduate, captivated the audience with her story as she shared the struggle and heartache she faced before finding peace and stability in Bridge Communities. 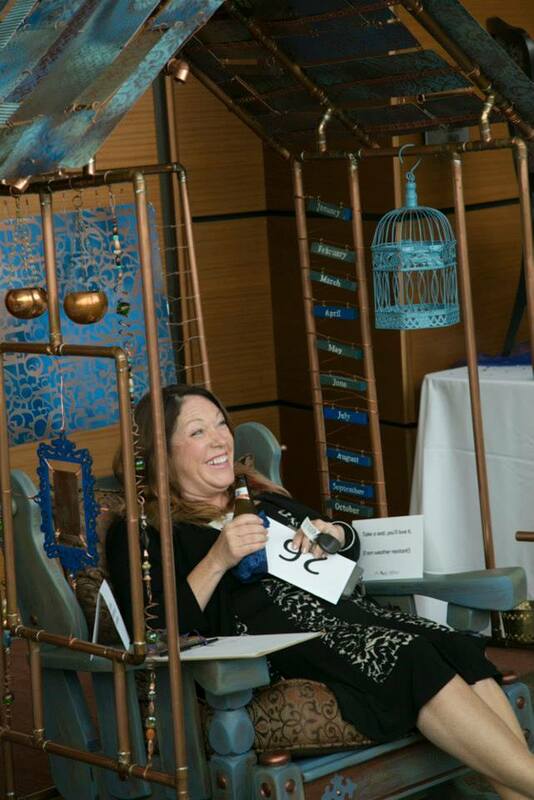 Alecia shared with the audience that she recently just bought her first home, and even had the keys to prove it! 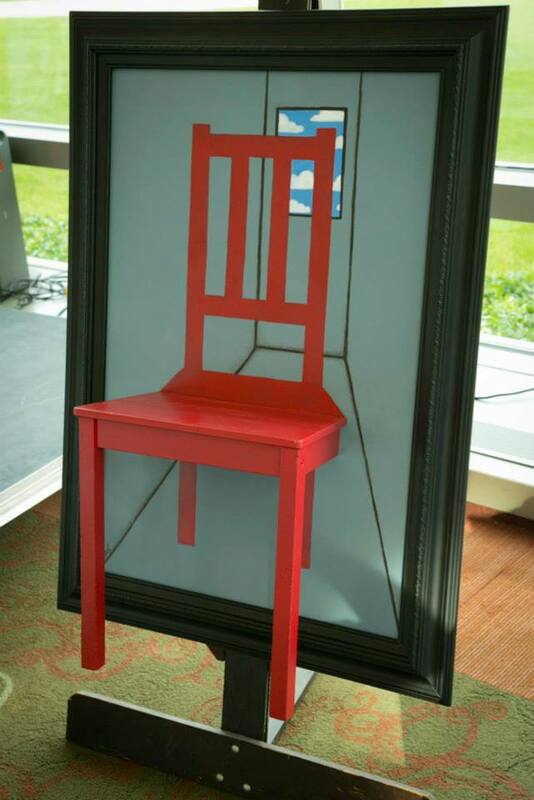 Mariam Paré’s masterpiece, “The Persistence of the Third Dimension,” was awarded the People’s Choice award after receiving the most votes in the online voting contest. At the age of 20, Mariam was caught in the cross-fire of gun violence. 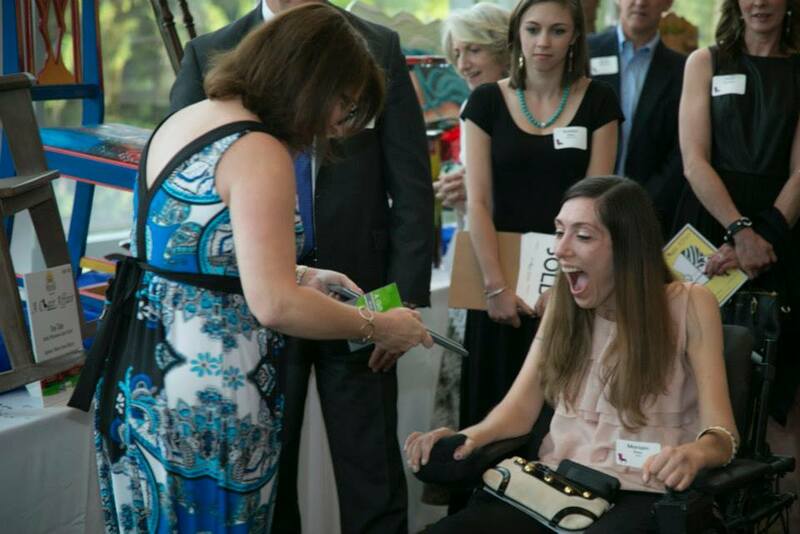 She sustained a spinal cord injury and was rendered quadriplegic, unable to walk and with significant loss of function in her extremities. During rehabilitation, Mariam learned to hold a paintbrush in her mouth to create art. She received degrees in art and graphic design, works professionally as an artist, and is now a philanthropist as well. Congratulations, Mariam! Thank you to everyone who contributed to the success of this event including our artists, sponsors, retailers, and friends of Bridge Communities! 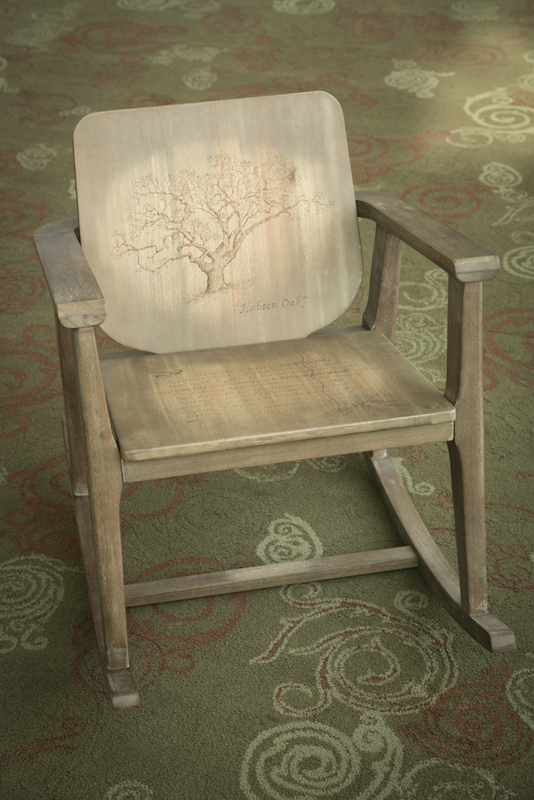 “Tree Tales” by Marianne Lisson-Kuhn was the top seller in the live auction – this chair alone raised $4,000 for homeless families!